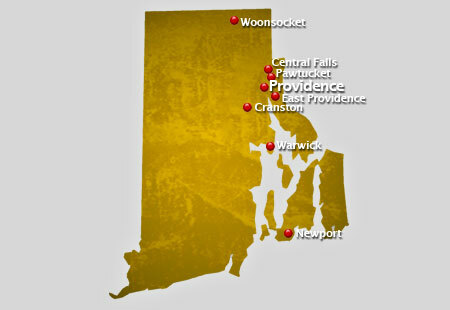 AirSign provides extensive aerial advertising coverage throughout all areas of Rhode Island. From beach aerial advertising to sporting events and over busy highways, we'll display your message to crowds in a way your audience will be certain to remember. Rhode Island is the smallest state in the United States, with a total land area of 1,545 square miles. The state is known as the Ocean State since it comprises of many oceanfront beaches. It is bordered by the states of Massachusetts in the east and north, Connecticut in the west and New York in the southeast. Climate in Rhode Island, generally, is humid continental, with hot humid summers and cold winters. Two of the states popular professional league sports teams are the Providence Bruins of the American Hockey League and the Pawtucket Red Sox of the AAA International League. The state is the site of the International Tennis Hall of Fame, specifically in Newport at the Newport Casino. It is the where the first U.S. National Championships were held in 1887. Top universities in the state include the University of Rhode Island, Bryant University, Roger Williams University and the Johnson and Wales University. Rhode Island is home to the popular State Capitol Building. It is made of white Georgian Marble and has the fourth largest self-supported marble dome in the world. The Newport Casino is where the International Tennis Hall of Fame is located and is considered as a National Historic Landmark. Other great attractions in Rhode Island are the mansions in the seaside city of Newport, the Roger Williams National Memorial in Providence, The General Nathanael Greene Homestead in Coventry and the Touro Synagogue, the oldest in the United States. Crowds are an aerial advertiser's paradise! A typical flight over popular events or locations can result in as many as 8,000,000 impressions! Have us fly your aerial banner over the crowds in Rhode Island to put your message wherever you want, whenever you wish at the best value in mass marketing!